Wallet is made of PU Leather, no awful chemical odor. A PU Leather wallet should be soft with a slight leather smell. Very chic in color, high quality zipper as shown in picture. Fashion gift for Christmas, Birthdays, New Year, Thanksgiving, Mothers Day, Valentines Day, Weddings, Anniversary or any special occasion for that special someone in your life. 1. 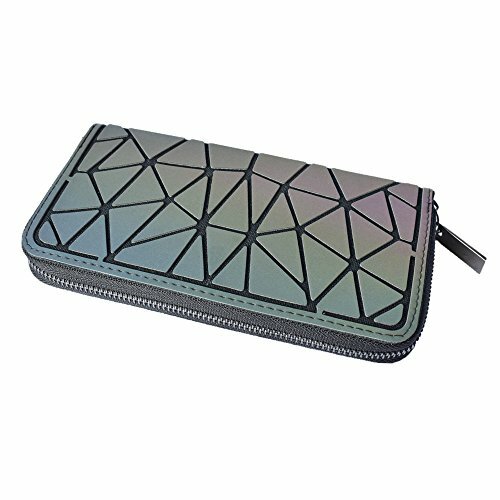 The zipper compartment fits iphone 5/6/6s/7/8 perfectly, CANNOT hold 6s plus/ 7 plus/ 8 plus. 2. The long wallet can holds multi cards (credit cards, bank cards, ID, drivers license, store cards, discount card, membership/loyalty cards, gift cards, notes, tickets, coupons, health insurance, calendar/planner, Debit, medical and dental cards, business cards, name brand, essential cards, library card, rewards cards, photo, 1 ID windows. 3. 1 zippered compartment for your checkbook security, watch without opening the entire wallet, combination of zipper closure and magnetic bottom keeps your money safer. 4. 3 invisible bill folders are capable for all your cash. Please allow little size error due to hand measure and bag shape is irregular! Any question or problem, do feel free to contact us.We'Il Provide Our Best Service To You And Do Our Best To Resolve The Problem You Met. If you have any questions about this product by KAISIBO, contact us by completing and submitting the form below. If you are looking for a specif part number, please include it with your message.